Home News Why Extreme Cams? The Extreme Cam is specifically engineered to extend the life of your brakes. Our customers tell us they are getting up to five times the life out of their s-cams and cam bushings and are significantly increasing the life of their brakes and drums. Each all-inclusive kit contains everything that you need to convert any trailer to the Extreme Cam s-cam / bushing system. 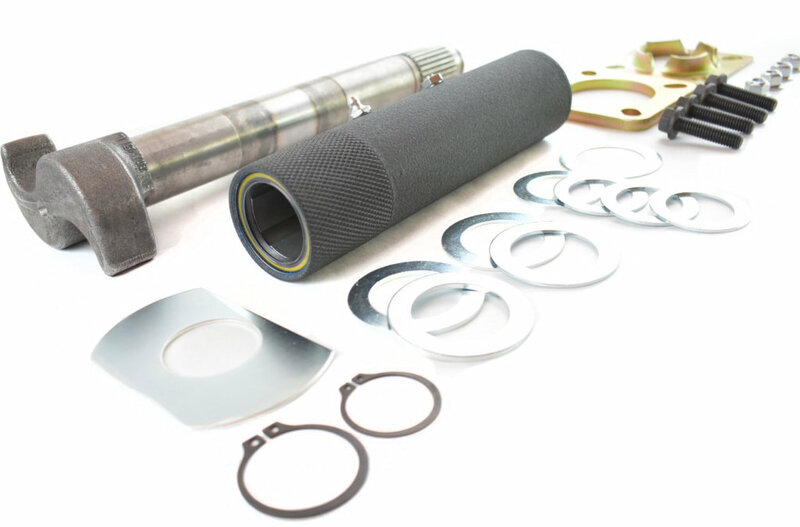 You’ll receive an Extreme S-Cam, Extreme Cam enclosure tube & cam bushing, a mounting bracket kit, and washer/spacer kit. Ease of installation is key, so the Extreme Cam is a complete bolt-on solution with no welding required. How are Extreme Cam Kits Superior? We manufacture Extreme Cam kits in our in-house production facility. It all starts with using American-made steel and precision manufacturing processes. We use a ISO 9000 inspired quality management system to ensure we are delivering bushings with the tightest tolerances in the industry. Our bushings are made with a proprietary combination of materials and production processes that we guarantee will outperform the competition. Our Extreme Cam tubes are built with .125″ wall DOM steel tubing that is measurably stronger than the 16-gauge material used by our competitors. We also have aggressive procedures to fight corrosion from the start. First, we powder coat every Extreme Cam enclosure tube. Next, we use anti-corrosion oil infused bushings with 5 large grease channels to ensure your s-cam stays lubricated. Then we install our specially designed double lip seals to keep contaminants from infiltrating your cam tubes. Finally, we install a pressure relief valve that lets excess grease out without compromising the integrity of the seals.